....or whatever they decide to name it. We are getting a new school!!!! Can I get a 'woot-woot'?!!! 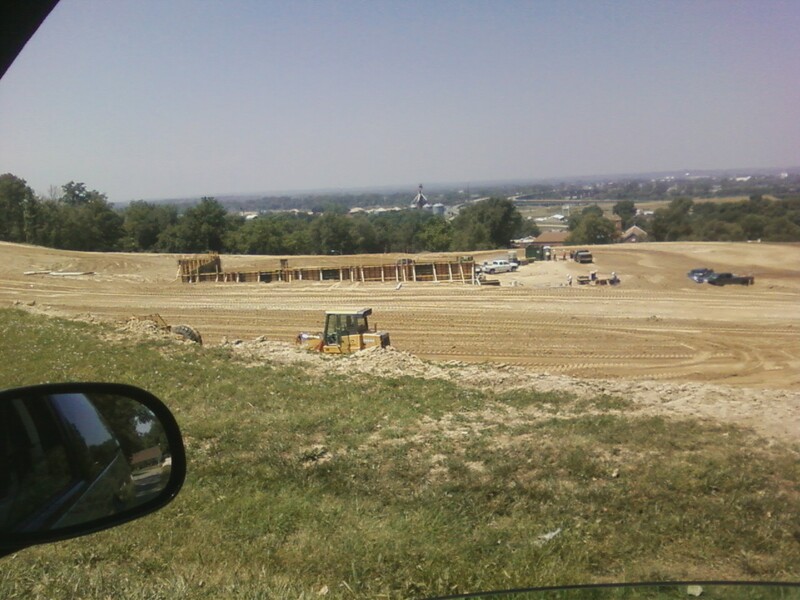 They are actually building two new schools in our community. The first new schools to be built here in 40 years. The school I currently work at is 103-104 years old. Crazy, huh? I thought it would be fun to show the progress every couple of weeks or so. They are getting footings ready. I'm sure they want outside walls up as soon as possible so they can work on the inside throughout the winter. Work hard Brooner Construction! :) We'll be cheering you on all along the way! Don't you just love that view? It's going to be fabulous.